doTERRA has created the opportunity to 'give back' with the added benefit of having softer, beautifully scented hands...and also the chance to share a sense of giving with others. Purchase this lovely Bulgarian rose CPTG essential oil infused hand lotion and 100% of your full purchase price ($20) will be donated to doTERRA's Healing Hands Foundation. Keep the lotion for your own use or pass along the giving through gifting it to another. Many will benefit from a sense of giving, as well as those receiving aid from the Healing Hands Foundation. Beautify the world one lotion at a time. Citrus Bliss Hand Lotion is conveniently packaged for an on-the-go aromatic experience as it softens and hydrates skin and enlivens the senses with the delightful aroma of Citrus Bliss Invigorating Blend. Wet your whistle with amazing natural ingredients formulated in doTERRA Lip Balm. Shea butter, mango seed butter, and sweet almond oil will contribute to lucious, moisturized lips and give them an energized freshness with doTERRA peppermint and wild orange CPTG essential oils. Lips will not want to be without it! Enjoy all the skin care products in the doTERRA family. These amazing products all use CPTG Certified Pure Therapeutic Grade essential oils, as well as quality ingredients for beautiful skin. Total kit includes Facial Cleanser, Clear Skin Foaming Face Wash, Pore Reducing Toner, Immortelle, Clear Skin Blend, Tightening Serum, Anti-Aging Moisturizer, Hydrating Cream, Invigorating Scrub, and Reveal Facial System. Save and enjoy the benefits of Clear Skin by purchasing Clear Skin Foaming Face Wash and Clear Skin Essential Oil Topical Blend in a set. 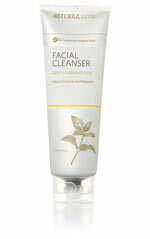 Clear Skin Foaming Face Wash leaves skin clean, fresh and radiant. This non-drying cleanse dispenses into airy foam that is gentle on the skin and yet packed with powerful ingredients, including CPTG essential oils and black cumin seed oil, to help keep skin in check. The intensive moisture your skin has been waiting for, doTERRA's Hydrating Cream is packed with emollient-rich ingredients and effective anti-aging combatants for smooth and luxuriously hydrated skin. 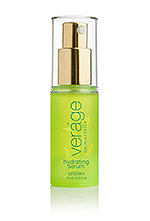 Its creamy formula provides an immediate burst of active moisture without leaving an oily residue. 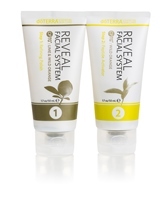 Carefully chosen ingredients are designed to assist regeneration of mature skin, as well as helping to reduce the visible signs of aging due to both natural and environmental causes. doTERRA Hydrating Cream aids in strengthening the dermis and restoring balance to the skin for a more youthful and glowing appearance. Perfect for use day and/or night. 3-pack - This fragrance free, light-weight lotion is perfect for hydrating the skin and is even more powerful when combined with the essential oil or blend of your choice. The way to silky, smooth skin lies in the perfect blend of antioxidants, botanicals, and important humectants. Extracts of cruciferous vegetables contribute to the formula's ability to help build the skin's natural protection and environmental defenses. 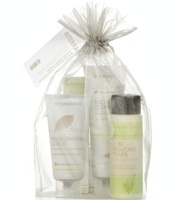 3-pack of Hand & Body Lotion combined with the essential oil Mood Mangement Kit (Elevation, Serenity, Balance and Citrus Bliss) This fragrance free, light-weight lotion is perfect for hydrating the skin and is perfect for mixing with any of the mood management essential oils for easy application and mood enhancement. doTERRA Spa Citrus Bliss Invigoration Bath Bar is a moisturizing bar combining doTERRA's Citrus Bliss blend of therapeutic grade essential oils, exfoliating milled oats, and natural emollients from coconut, sunflower, and safflower oils and shea butter. It is free from harsh, artificial fragrances and colors and other ingredients that can be irritating to the skin. The Citrus Bliss blend of essential oils provides an invigorating cleansing experience and makes bathing a blissful and uplifting highlight of your day. doTERRA Spa Serenity Calming Bath Bar is a moisturizing bar combining doTERRA's Serenity blend of therapeutic grade essential oils and natural emollients from coconut, sunflower, and safflower oils and shea butter. Serenity Calming Bath Bar is free from harsh, artificial fragrances and colors and other ingredients that can be irritating to the skin. The Serenity blend of essential oils provides a serene, calming cleansing experience. Pamper yourself at the end of a stressful day with Serenity Calming Bath Bar. doTERRA Essential Skin Care is a family of skin care products designed to maximize the natural power of essential oils in helping to keep your skin feeling and looking young, healthy, and gorgeous. 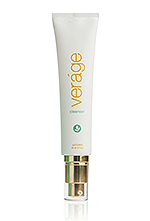 In addition to a careful selection of CPTG Certified Pure Therapeutic Grade essential oils added in generous proportion to each product, the Essential Skin Care line includes cutting-edge technologies which complement the essential oils in targeting the visible signs of both cellular and mechanical aging. Contains one each of doTERRA's Essential Skin Care Facial Cleanser, Pore Reducing Toner, Anti-Aging Moisturizer, and Tightening Serum. With doTERRA Facial Cleanser, CPTG Certified Pure Therapeutic Grade essential oils of melaleuca and peppermint gently cleanse, lifting away impurities and leaving your skin feeling clean, fresh, and smooth. Cruciferous vegetable extracts also work to inhibit skin irritation and reduce oxidative stress to skin cells. 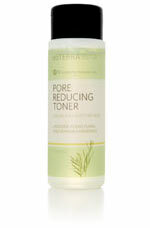 Formulated to visibly reduce the size of pores, doTERRA Pore Reducing Toner contains CPTG Certified Pure Therapeutic Grade essential oils of lavender, ylang ylang, and german chamomile which work with cutting edge ingredients to calm sensitive skin, inhibit skin irritation, and reduce oxidative stress to skin cells. 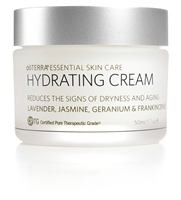 Cutting-edge ingredients combine with the CPTG essential oils of lavender, jasmine, geranium, and frankincense to provide an anti-aging moisturizer that does more than moisturize and soften skin. 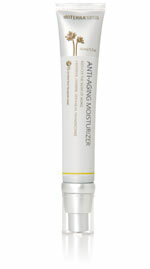 Anti-Aging Moisturizer will target the visible signs of aging--improving skin elasticity and tone, reducing the appearance and number of wrinkles as well as helping to prevent the future signs of mechanical aging. 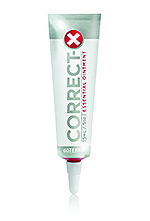 Featuring CPTG essential oils of frankincense, sandalwood and myrrh in generous proportion, doTERRA Essential Skin Care Tightening Serum is scientifically formulated to reduce the appearance of fine lines and wrinkles and promote skin hydration. 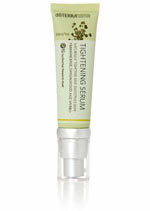 Tightening Serum tightens and smoothes skin naturally, providing both significant short-term and long-term tightening benefits, as well as increasing skin clarity for firmer, younger appearing skin. 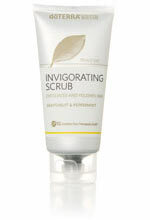 Invigorate and energize skin while exfoliating and polishing using this aromatic scrub. CPTG essential oils of grapefruit and peppermint make the exfoliating step of your beauty regimen a refreshing, aromatic experience. Jojoba and cruciferous vegetable extracts leave skin protected and smooth, while other cutting-edge ingredients work to prevent irritation and the proliferation of skin discoloration. 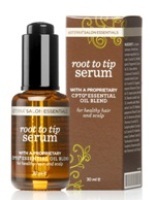 doTERRA Salon Essentials Root to Tip Serum is a salon professional formula infused with essential oils and protective lipids to provide a healthy environment for the scalp and hair. The carefully chosen CPTG essential oils of lavender, peppermint, marjoram, cedar wood, lavandin, rosemary, niaouli, and eucalyptus combine to maximize the health of the hair and scalp. This serum is powerful and lightweight for extended protection and moisture without weighing hair down or giving it a greasy feeling.